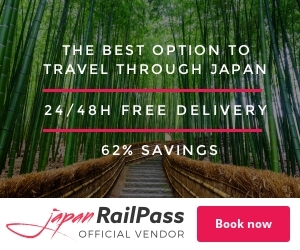 Japan Rail Pass (Click here to buy JR Pass) is one of the best deals you can get your hands on if you are going to visit Japan. In this post I will explain why JR Pass is so good, how to choose the right one, and how to order it. 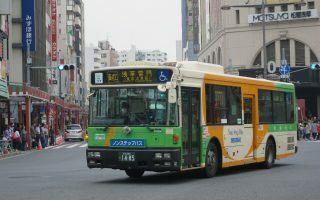 If you are planning your trip to Japan, it is very likely that you have already thought about how you are going to get around once you are there. 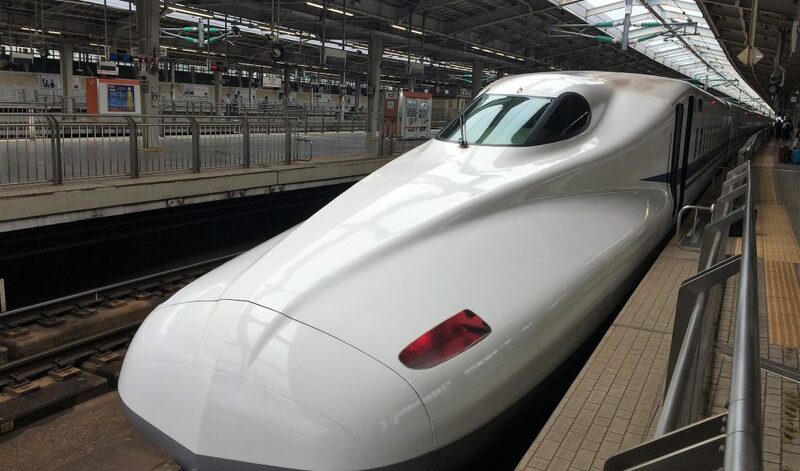 You might even have heard about Shinkansen – the Japanese bullet trains which travel at up to 300km/h (186mph). There is no doubt that train is the best method of transportation in Japan as a tourist. The train network in Japan is huge, and the trains are precise, fast and comfortable. Essentially the JR Pass is a travel pass that let’s you (foreign visitors) travel unlimited with JR Trains through out Japan. The only major exceptions are three super high speed commuter trains (Nozomi, Mizuho, Hayabusa), which the pass is not valid for. The same distances are however covered by other bullet trains which make a few more stops and therefor travel marginally slower. The pass exists in 7, 14 and 21 day versions and exists as standard class or “green car” class which is essentially first class. So why is this so fantastic? Because taking the train in Japan is normally extremely expensive! A single return trip between Tokyo and Kyoto will pretty much make the JR Pass worth it. A 7-day JR Pass costs around $271 in 2018. A return ticket Tokyo-Kyoto-Tokyo costs $247 or Tokyo-Hiroshima-Tokyo $340. Added bonus: the JR Pass also covers the Narita Express from Narita Airport to Tokyo (and vice versa) and all local JR trains, including those inside Tokyo as well as trains to almost any destination you can imagine. Most people like to visit a bit more than Tokyo when in Japan. The table below shows what your standard one week round trip will cost without the JR Pass and how much you can save by choosing a JR Pass instead. The JR Pass comes in 7, 14 and 21 day versions. You can also choose between standard class and Green Car. Green Car is like a first class cabin, so if you prefer to travel first class that might be for you. There are also passes for children at reduced prices. Which pass you pick is up to you, but I can recommend to make a rough itinerary of your trip before buying the pass. 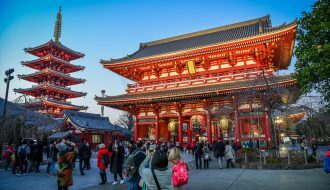 Depending on your itinerary the 7 day pass might be sufficient for a 10 day trip, or the 14 day pass enough for a 18 day trip if you start or end your trip by staying inside a big city like Tokyo or Kyoto for a few days. You choose when you activate your pass. It is only valid from the day you activate it at a JR office. JR Pass can only be purchased from outside Japan! So you have to make your decision before you get there. The passes are sold online via foreign vendors. Once you have placed an order they will send you an exchange voucher by courier. This voucher you will have to bring to Japan and exchange for a JR Pass at a JR Train Station. For my last few orders I have used this vendor. They deliver quickly and the order process is simple. I always got my vouchers within 24 hours of ordering. As I mentioned earlier, you have to exchange your voucher at one of the major JR train stations when you arrive in Japan. You can find a list of those stations here and a map of where to find the major exchange stations here. There are exchange offices at major airports too. At the exchange office you fill in some forms and go to the counter with your voucher, pass port and forms. You will then be issued your JR Pass and you are ready to go! It’s quite simple. Note: on the forms you fill at the train station you can specify the first day of use for your pass. That is quite practical if you are near an exchange office, but won’t need the pass for another few days. Using the JR Pass is really easy. When you want to enter the train boarding area you walk through the manual ticket check counter instead of the automated one. Here you show your pass to the ticket inspector, and you are good to go. That’s it. Same procedure when you want to leave the gated area. The first time you use the pass it will usually be stamped. Most trains don’t require a seat reservation. On some trains it’s not possible, on some it’s optional and on a few it is mandatory (Narita Express, scenic trains and sleeper trains). As a JR Pass holder you get free seat reservations, so just head to the ticketing office before boarding your train to get a seat reservation. I can recommend to reserve the day before for long trips during rush hour. I also have a post on how to take the Shinkansen. That post covers reserved and unreserved seating. That sounds like an amazing trip! You might be able to follow the cherry blossoms up through the country. My wife & I plan a trip from Los Angeles to Japan Visiting Tokyo, Kyoto, Osaka, and Hiroshima in ten days. We are thinking of flying round trip LA to Tokyo, back to LA. On arriving to Tokyo we are thinking to take the train to Hiroshima, spend 2-3 days in Hiroshima, then go to Kyoto spend 2-3 or three nights where we visit Osaka, and then go to Tokyo for 4-5 nights. We are planning to spend some couple of weeks in Japan as from May 2nd, visiting Tokio, Kyoto and Osaka. I wish to use some days to visit some ancient and tourist unspoiled location, where original japanese culture can be tasted. What place would you advise as to comply with that desire? I hope this helps, and I wish you the best possible trip through wonderful Japan. 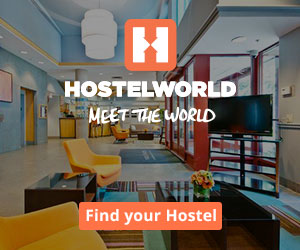 We are visiting Tokyo and Kyoto next month for 7 days and was wondering which pass we should buy. Is it the JR EAST pass? I don’t see a JR tourist pass. It sounds like a good plan for a 7 day stay! A standard single ticket from Tokyo to Kyoto is around JPY 13710 ($120/€110) per person. That makes the round trip $240/€220. The price of a full 7-day Japan Rail Pass is $265/€230. With that in mind, if you plan to make any other trips on JR trains during your trip, then the additional $25/€10 may quickly be worth it. For instance a side trip to Nara or simply the local JR trains that run inside Tokyo. Hi, Me & my wife coming to Japan for business & tourism purpose. We will land at Narita Airport on 5th March and will stay 2 nights at Tokyo then will go to Osaka by bullet train & we will stay 2 night there & then will come back to Nariat airport by bullet train from Osaka. Just for go & come from Tokyo to Osaka, which ticket is cheaper ? JR Pass or individual ticket ? Thanks for your question. 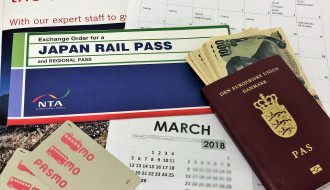 With your short itinerary you can actually save a bit by getting a 7 day Japan Rail Pass instead of individual tickets. The ticket from Tokyo to Osaka and back again will total 28900 YEN (USD 263 / EUR 232) per person. A return ticket on the Narita Express from the airport to Tokyo and back costs 4000 YEN (USD36 / EUR 32) per person. A 7 day JR pass costs USD 264 / EUR 233. 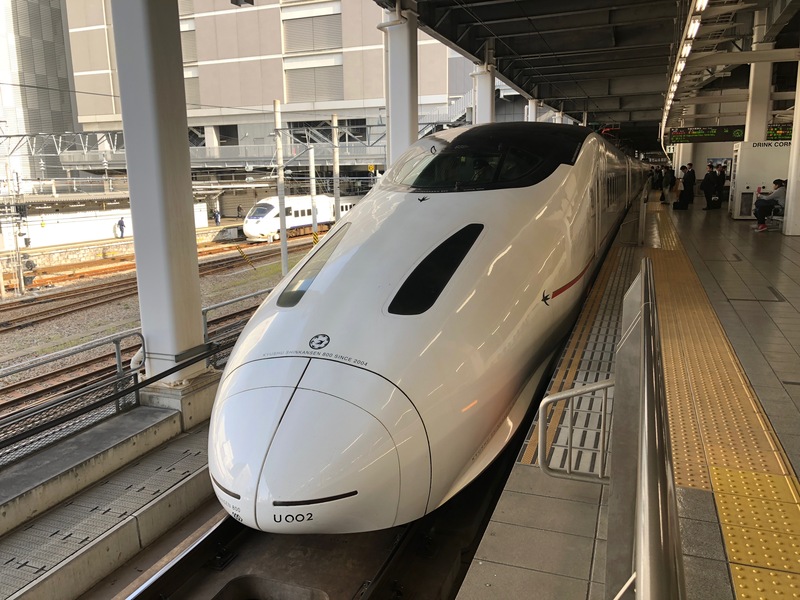 Since you travel to and from Narita within a week, the 7-day Japan Rail Pass will cover the Narita Express from the airport to Tokyo and back again. Effectively you will save around 4000 YEN (USD36 / EUR 32) per person by getting a Japan Rail Pass. can I use this JR pass within Tokyo train ? Will arrive in sapporo and stay couple of nights. then travel to Niigata, tokyo , osaka and back home in Singapore. will be about 12 days. Thank you for your question. The Japan Rail Pass is valid on the JR trains which run inside Tokyo. That means the Yamanote Line. Keihin-Tohoku Line, Chuo/Sobu Line and Saikyo Line. The lines of Toei Subway and Tokyo Metro are not covered by the Japan Rail Pass. Great post! Thank you for the information. By the way can I bring my luggage with JR/Shinkansen train? Is there any cabin where I can put my luggage because it’s quite big. Some Shinkansen trains have baggage racks or storage areas, but not all of them. Generally your baggage is expected to fit in the baggage rack above the seat. If you think your suitcase might be too big for that, then i recommend you simply ask at the JR ticket office prior to departure. They will definitily point you to the right car, or help you book a seat with some extra space (like and end-seat). Hello! do you know if you are able to take your luggage on the JR train form Tokio to Kyoto? My brother and I are planning to visit Japan for the first time on October! Yes you are able to bring your luggage on the Shinkansen. However, space for bags might be limited. On the Shinkansen you are allowed 2 bags of 30kg measuring 250cm (w+h+d). Hi Nurul, thanks for your question. I think you and your friends will have a really great trip to Japan. Where to go depends a bit on how you like to travel. If you want to see many cities in 7 days, then you won’t get so much in depth with each. 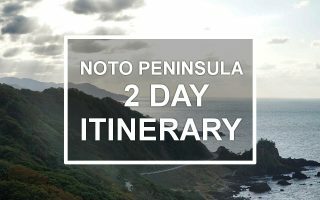 You could consider 3 days in Tokyo, 1 day in Hakone, 2 days in Kyoto and 1 day in either Nara, Osaka or Kobe. 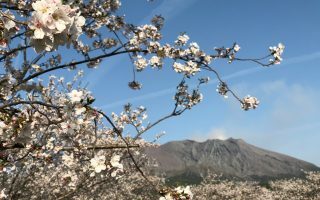 If you want to go out of the cities a bit, then maybe consider the Izu peninsula or Mt. Takao.